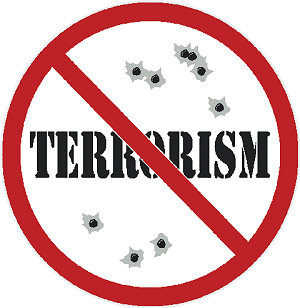 The first thing for Western nations to do if they want to stop terrorism is to stop committing it. Rendition, torture, selective assassination by drone or hit squad and mass killing of civilians cause terror and create terrorists. We know that Daesh is the progeny of the Blair Government’s disastrous invasion of Iraq. The architects of that war now admit the Government’s case was based on – at best – a false prospectus. Today, the Government continues to use spin to foster the fear it needs to gain support for military action. David Cameron claims “all seven terror plots in the UK this year” have been “directed by Isil or inspired by the group’s propaganda”. Look closely, he means terror plots, alleged by the intelligence services to have taken place, details of which have not been made public. We know that when details of terror plots do emerge, there is evidence that they are not all they are made out to be. Those of us who remember the “ricin plot” will know there was no ricin and no plot. There was a chemical factory in East London which did not exist and the same applied to the alleged “potential Glasgow bomber” of August this year. And look closer: “inspired by the group’s propaganda”. Or, in other words, with no actual connection to Daesh. The manipulative use of language is also evident in the claim that it would be a “publicity coup” for Daesh should MPs make the sensible decision to vote against Cameron’s adventurism. The idea that the ideology of “Islamic extremism” is what drives Daesh and others is not supported by evidence from the front line. Lydia Wilson of the Centre for the Resolution of Intractable Conflict at Oxford University reports the experience of interviewing Daesh prisoners in Iraq.